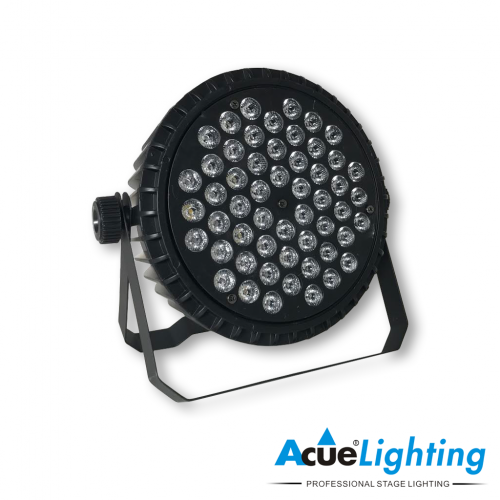 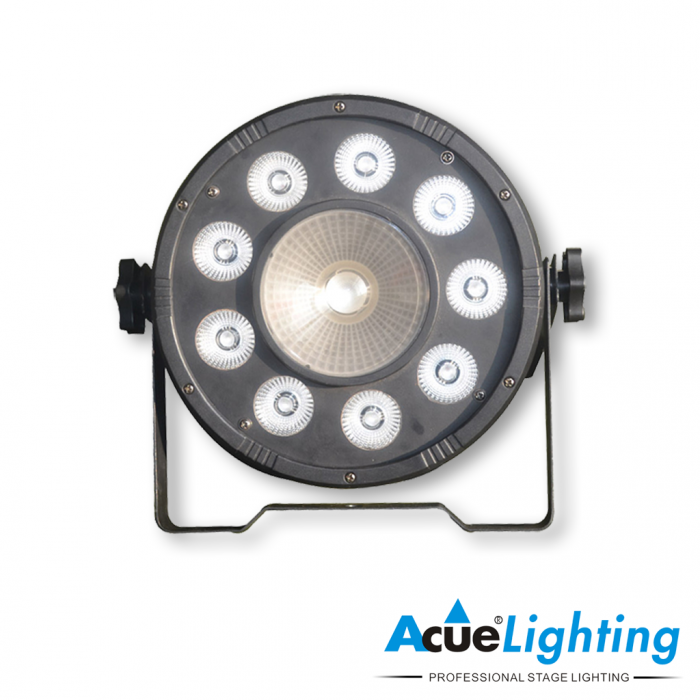 The Acue COB LED Flat Par RGB is a powerful LED wash fixture for use as a truss warmer, up-light, or any color wash application. 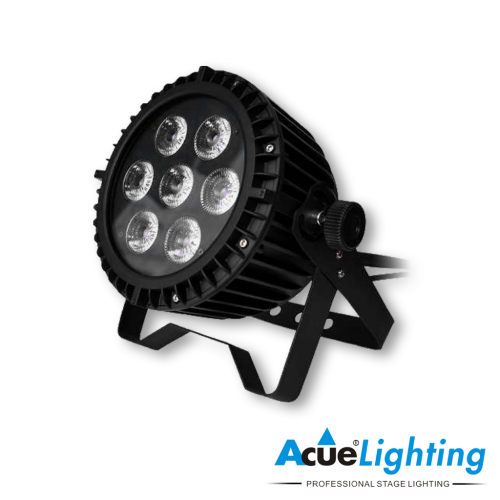 The Acue COB LED Flat Par RGB features 9x3W RGB LEDs and a single centered 30W RGB LED chip, which can achieve a longer throw distance than others in its class. 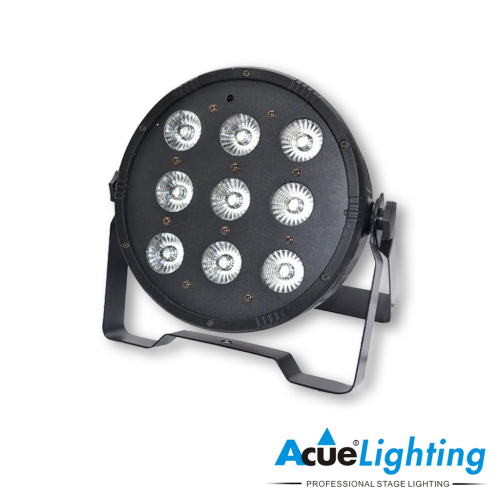 It also has multiple operation modes including DMX, sound, auto-program and master/slave modes. 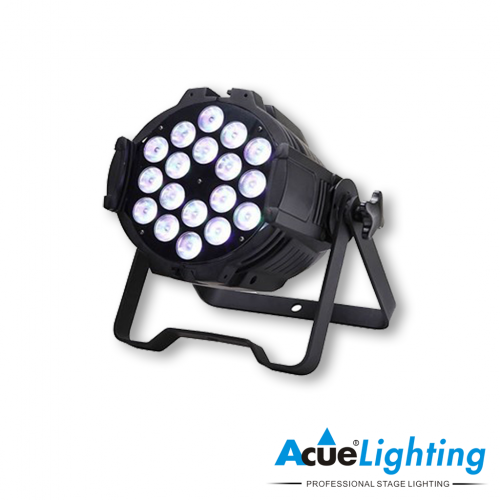 Dimmer 0-100% Linear dimmer control by DMX or manually from built-in display board.